Former Expanding man guitarist Dave Wanamaker has seen the ups and downs of the music business. In 1995, after developing a strong regional following in the Boston/New England area, Expanding Man inked a deal with Columbia Records and the following year released Head to the Ground, which found the band supporting bands like Stone Temple Pilots and I Mother Earth on national tours. Despite strong supporting slots and heavy touring, MTV and radio failed to pick up on the band, and Head to the Ground would be the band's last record. Moving back to Boston, Wanamaker started writing his own songs, and playing with Pete Armata, Expanding Man's bassist. 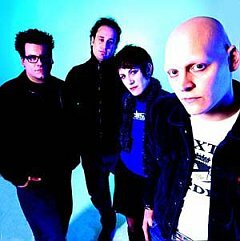 Songs started to develop and soon the duo added Jen Trynin (who had released two acclaimed solo records on Warner Bros. before leaving the music business temporarily) on rhythm guitar and backing vocals, and rounding out the band with friend and former Letters to Cleo drummer Tom Polce. "It just sort of happened that way. I started demo'ing and writing songs and playing them for Pete," Wanamaker says of the band's formation. "And then I would play them for my friend Mike Denneen, who produced the record. They both told me to keep singing and playing, so I did." Wanamaker adds, "Its great not having to call someone up to write or work on something with. I can do it myself now." Wanamaker began writing the songs that comprise Gift to the World (Q Division), their full-length debut, in 2000. The songs would start out as twenty second melodies, he told me, and he would add to them from there. In 2001, with the band in toe, they entered Q Division Studios with Mike Denneen. With twice as many songs as they knew would make the record, something Wanamaker believes is the only way to make the record you want to make, in case things don't translate to tape the way you want them to, they began working on their debut. Two years later, in the summer of 2003, they wrapped up the recording of the record. 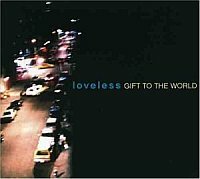 Ten songs would comprise Gift to the World, with four songs being cut ("Maybe we'll use them for a quickie EP later on," ponders Wanamaker), and ten songs demo'd but not recorded. The record would be released in November of the same year. "It worked as an advantage," says Wanamaker on the drawn out recording sessions for the band. "The band started when we started recording, so the band hadn't started playing many shows. It worked out better, because that way, we had a chance to write and develop the songs on tape and then, once we were comfortable with them, we started to play them live." During those two years, the band was able to make the record they wanted, with Wanamaker learning how to not second guess himself, figuring out when enough was enough, allowing him to walk away from a song and not let it eat away at him when another idea came to him that he'd like to add to the song. "I used to do that all the time," he says, regarding second guessing himself. "But this was a great experience, and it taught me that I don't have to do that". One of the reasons Wanamaker sites for never second guessing himself anymore is the way certain songs turned out on the record. "This Is A Way" was originally thought to be a throwaway, but after the recording turned out well, it became one of Wanamaker's favorites on the record. He was also very impressed at how the more straight ahead rock stuff came out, which matched the band's vision of how it would appear on tape. Another thing that turned out well was the mixture of Wanamaker and Trynin's voices, something Wanamaker was unsure of when they went in to the recording process. "When we were mixing it, I thought 'this sounds great!'" he says about his and Trynin's voices melding together. "Her voice really adds sweetness and personality to the songs." The band's current plans including continuing to play locally and regionally, touring up and down the East Coast. They also have their sights set on Japan.